We’d love your help. Let us know what’s wrong with this preview of One Hundred Christmas Proposals by Holly Martin. It’s Christmas in a snow-kissed London, and the.PerfectProposal.com have vowed to carry out one hundred proposals in December. No easy task at the best The eagerly anticipated follow-up to One Hundred Proposals. To ask other readers questions about One Hundred Christmas Proposals, please sign up. 4.5 - Something old, something new, something borrowed, something blue. Stars! I read a lot of books, and I enjoy most of them, but I would be telling fibs if I said I remembered reading each and every one. Holly Martin, and her books are a total exception to that rule. I remember them all, quite simply because they are unforgettable. Her writing style is unique, her characters unforgettable and her story-lines pure, reading perfection. Harry and Susie from One Hundred proposals are Back! I loved 4.5 - Something old, something new, something borrowed, something blue. Stars! Harry and Susie from One Hundred proposals are Back! I loved the first book, this little Christmas novella is the perfect continuation of their story. Holly had me laughing, crying and awwwing over their antics, the situations that they ended up in, and the blog posts of the perfect proposals they arranged. I hope at some point in the future that Holly has the opportunity to give Jules and Badger their own little story. After the events in One Hundred Christmas Proposals I really would love to see them get their Happily Ever After as well! Since reading One Hundred Proposals, the story of Harry and Suzie is one I haven’t forgotten (probably since I sulked for days once finishing that book). So I was more than excited to tuck into Holly Martin’s festive novella, One Hundred Christmas Proposals, and welcome them back into my life with open arms for an hour or two. The warmth to this novella is really just irresistible. Holly’s writing style is so addictive, she draws you into the story instantly and brightens your day with her gorgeous storytelling. Though Harry and Suzie’s life took an utterly romantic turn in the previous book, that didn’t mean this Christmas instalment was going to be all sweetness and light, just the right level and I found myself falling for the story pretty much straight away. Told through just six chapters, it predictably left me craving more, though that would have been the case over sixty chapters too. Holly paced the story beautifully, everything unfolds naturally and as the reader I had time to smile, swoon and wipe the odd tear away. I think why I loved this book so much was that it wasn’t just a follow-up story to One Hundred Proposals. Of course, nobody wanted to let the characters of Suzie and Harry go after book one but Holly has turned this into a proper Christmas book too – all the little festive touches and the main plotline revolves around Christmas and it’s so refreshing to see a book made festive because of the content and not just the word Christmas in the title. Suzie and Harry are busy with the.PerfectProposal.com, planning on carrying out one hundred proposals throughout December. I was looking forward to this aspect because Holly writes some stunning, romantic scenes. Though the couple are still so obviously in love, Suzie is on edge a little in this book, worried why plans haven’t been set in stone for their wedding and why Harry appears to be acting suspiciously. Everything is so effortlessly timed and pieced together in this book, the style of writing is just lovely to read. More than just focusing on the romance between Harry and Suzie, there’s some secrets and mystery laced throughout the story as well as the chance for us to get to know a bit more about their family and friends. I really enjoyed the side story with Jules and Badger because Holly makes us care about them just as much as the main characters. When I reached the end of One Hundred Proposals I was left wanting more. I wasn't ready to leave the world of Harry and Suzie behind, so when I heard about One Hundred Christmas Proposals I couldn't wait to read it and I am thrilled to be part of the blog tour. I am also mentioned in the Acknowledgements section of the book which is amazing. At just six chapters, it's a really short read. Holly has been super busy writing this year so we are incredibly lucky to be given this little Christmas tre When I reached the end of One Hundred Proposals I was left wanting more. I wasn't ready to leave the world of Harry and Suzie behind, so when I heard about One Hundred Christmas Proposals I couldn't wait to read it and I am thrilled to be part of the blog tour. I am also mentioned in the Acknowledgements section of the book which is amazing. At just six chapters, it's a really short read. Holly has been super busy writing this year so we are incredibly lucky to be given this little Christmas treat, and what a treat it is. You really do need to have read One Hundred Proposals to fully appreciate this book. It could perhaps work as a standalone yet knowing the characters, and how they got to where they are now just makes the story all the more enjoyable. Harry and Suzie are perfect for each other. Now they are engaged however I was worried. Part of the enjoyment from the romance in One Hundred Proposals, and other books like it, is always the thrill of the chase, and the will they/won't they scenarios. The characters overcoming the obstacles in their way to find their happy ever after. I didn't therefore just want the book to be Harry and Suzie being all lovey dovey, I wanted there to be a little bit of tension, perhaps a few secrets and again, some hurdles before we reached the ending and luckily we got that here. Suzie is eager to get married and wants to set a date yet Harry appears a little reluctant to do so. In the beginning he is also hiding something from Suzie which has her worrying he might be up to no good. Then there are some jaw dropping developments partway through the book, and it is huge. Say no more... Add into the mix her parents who still don't know their daughter in law has found a new love and there's so much going on in such a short space of time. Only a talented author can actually make a novella almost as good as a full length novel, Holly is a fantastic author who never fails to enthrall me with the stories she creates and she is more than capable of making a novella just as good as a novel. From the first page I was hooked, and had this read in one sitting. Once again Holly has come up with some brilliant ideas for proposals, and some people will recognise the names of some of the people being proposed to! It's such a nice touch and as Holly is very involved in the blogging world it's fantastic that she adds stuff like this to her books. The Christmas element is also brilliant and definitely got me in the mood for the upcoming festivities. Waking up on Christmas morning is always a magical feeling and I love how that was the case here for Suzie and Harry. There's so much more I want to say about the book but it's hard to review novellas because they are so short. This is though the perfect Christmas read, and the perfect sequel to what was one of my favourite books of the year. Suzie and Harry's story is still not complete, and there's so much to still explore with these two characters that I hope Holly returns to them in the future, either with a novel or another short. Either way I'm once again thinking about these two characters nonstop and really want to read about what's going to happen to them next. One of the best chicklit i've ever read ever!!! Maybe this One Hundred Proposal series is the best chicklit, beyond the others. I love it so much with all my heart. Totally re-read it again someday. If you thought Harry & Suzie’s life couldn’t get anymore sweepingly romantic than Harry asking her to marry him at the …end of One Hundred Proposals – think again! have vowed to carry out one hundred proposals in December. No easy task at the best of times – made even more complicated by Harry & Suzie trying to plan their first Christmas and a visit from the dreaded in-laws. But one hundred deliciously Christmassy proposals later they find themselves asking if everything is still perfect in their own relationship…. Holly’s written style so easy to follow you just get pulled into the plot . Suzie and Harry are still so much in love or are their a few cracks showing up ? This novella is about the proposal business, the Perfect Proposal that Suzie and Harry set up the business is doing so well now they are aiming about 100 proposals over the Christmas period. I enjoy that Holly add Harry into the blogging world in this novella he write his posts we such passion and love for the proposals he set up it make a good read you can see them all in your mind . Suzie sister in law jules with her boyfriend badger are in this book to i loved them they are so like us all just getting on with thing but still very much in love they are a great fun couple . They just fall in love that all the matters or it should be .you have to read to see what i mean . You will feel the same i bet to me it should not matter that jules her sister in law is now seeing her belated brother’s best friend and she knows this is going to be a problem. To her mum that are coming over for christmas . Her mum was not a nice person she could be rude out spoken and a pain but then she could be a nice lady what did you think ? Her dad was just a wonderful man i loved him so different to his wife they are very much chalk and cheese . But she did get into the christmas spirt i thought did you near the end . Harry has a surprise gift for Suzie and seems to be sneaking around sorting things out. This upsets Suzie as she thinks there is something going on. When Harry says that it’s her Christmas present and that she will get it on New Year’s Eve she is happier. But still not sure what he up to . Will Harry succeed with his surprise presents? And what was it ? Will Harry like the surprise Suzie has for him? Will Harry and Suzie ever set a date for their wedding? All the character were great so warm and likeable the novella just full of surprise but it was a bit sad at time to it got a lot of action in there to which i like . The whole novella got such a sweet and magical festive feel to it .I loved all the snow, the trees ,the gifts and the proposals side to this novella i want to tell you more but i love you all to read . The end just so sweet and emotional .My only criticism is it to short i would of love it to be longer but i sure there so much more to come . I did enjoyed this book and would recommended it to you all . Christmas in London and the ever popular the.PerfectProposal.com have vowed to carry out one hundred proposals in December. This isn’t the easiest task, especially as Harry and Suzie are bus trying to plan their first Christmas together and a visit from the dreaded in laws. But is everything still perfect in their own relationship? One Hundred Christmas Proposals is the follow up to Holly’s fantastic book One Hundred Proposals…and what a follow up it is! Now I LOVED One Hundred Proposals ever so Christmas in London and the ever popular the.PerfectProposal.com have vowed to carry out one hundred proposals in December. This isn’t the easiest task, especially as Harry and Suzie are bus trying to plan their first Christmas together and a visit from the dreaded in laws. But is everything still perfect in their own relationship? One Hundred Christmas Proposals is the follow up to Holly’s fantastic book One Hundred Proposals…and what a follow up it is! Now I LOVED One Hundred Proposals ever so much – in my opinion it was perfect and I didn’t think it could be topped, but One Hundred Christmas Proposals is so perfect and beautiful and I am just full of sheer happiness for this book!!!! Holly Martin is such a TALENTED writer, she can evoke and create so many feelings from you and by the end of her books I am usually a swooning/gushy/blubbering mess who feels like she’s been on the most exciting and enchanting journey of her life. If you haven’t yet had the pleasure of Holly’s writing then please give her books a try – they are stunning. I LOVED that Suzie and Harry are back, I did a happy dance when I had the book that’s how thrilled I was! I could not get enough of them in the first book so to have them back even for a novella was like Christmas day for me! If you know me then you will know I love a good swoon and Harry is definitely swoon-worthy! And gorgeous, and completely handsome, and sigh! I along with many others genuinely wish he was available in real life! Harry and Suzie are a truly wonderful couple and to join them on the next part of their journey was just MAGICAL. The love and devotion that Suzie and Harry have for each other makes me want to cry happy tears, I am so in love with them as a couple, their relationship, their personalities – they make me so happy!! My heart could literally burst with joy at how much I LOVE their scenes together. I could read about this couple forever…. so Holly, if you by any chance fancy writing any more about them (read: I definitely want another book please) then I’m completely up for that! Can I also just express my excitement that there was more Badger and Jules in this too? They are BRILLIANT. And Holly Martin did it again! I haven’t read 100 Proposals #1 (shame on me! ), but that didn’t stop me from enjoying this festive read. I absolutely adore Ms. Martin’s unique style of writing and this novella was truly such a delightful read. Suzie and Harry are together for what seems like an eternity. They run a successful business, providing help with marriage proposals. Their love for each other knows no limits. But Suzie starts having second thoughts. The big proposal seems very far away, an And Holly Martin did it again! I haven’t read 100 Proposals #1 (shame on me! ), but that didn’t stop me from enjoying this festive read. I absolutely adore Ms. Martin’s unique style of writing and this novella was truly such a delightful read. Suzie and Harry are together for what seems like an eternity. They run a successful business, providing help with marriage proposals. Their love for each other knows no limits. But Suzie starts having second thoughts. The big proposal seems very far away, and seems like Harry is having some secrets. He starts disappearing and making some secret phone calls. Is he having an affair? Suzie and Harry’s story is very romantic and beautiful, for a hopeless romantic like me it was just perfect. They love each other very much, but there is trouble even in paradise. Can Harry keep Suzie’s love while keeping secrets from her? With Christmas around the corner, people, especially the ones hopelessly in love, plan popping up the big question to their partners. And OneHundredProposals.com is there to help them. There are many Christmas themed proposals that will restore your faith in love, if you’ve ever lost it. Each proposal is so unique, and so full of love. Nothing is more important than the sparkles in your loved one’s eyes when they are looking at you and see the person who want’s to spend the lifetime with them. One character I didn’t like, was Suzie’s mother. The woman suffers because she has lost her son, and is emotionally shattered, but that doesn’t give her right to treat people around her like that. And why is everyone so afraid of her? Love, hate, Christmas and magic. This adorable festive read has it all. Adorable characters, unique romantic proposals, and lots of happy endings. Holly Martin did it again. Totally recommended for every time of the year, not just Christmas. Enjoy! I would like to thank author Holly Martin for sending me a copy if this book in exchange for a fair and honest review. When author Holly Martin contacted me and aske would I like to be part of the blog tour I jumped at the chance, after reading and loving One Hundred Proposals earlier in the year and loving it, how could I pass up the opportunity to read this? First I would like to mention the cover, I love the blue and red with the couple that is so obviously Harry and Suzie. It is now six month o I would like to thank author Holly Martin for sending me a copy if this book in exchange for a fair and honest review. It is now six month on from Harry's proposal and they are preparing for the busiest time for their business, Harry has the fantastic idea that they can arrange one hundred proposals in December. I love all the proposals that had Suzie crying and also at times had me in tears to, it was great that Holly also brought Harry's blog along into this book too. We also get to meet Suzies parents as well as familiar characters from One Hundred Proposals, I love how romantic Harry is and he is such gorgeous character. I didn't know how Holly could top One Hundred Proposals, but she really had managed to do it with this wonderful festive story. 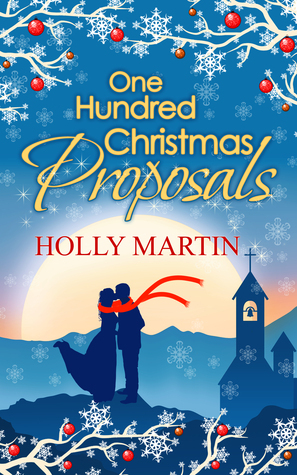 I had previously absolutely loved One Hundred Proposals by Holly Martin, so when I heard One Hundred Christmas Proposals was being released, I could not wait to read! This time the.Perfect.Proposal.com company are doing one hundred proposals by the end of December, so there is a little time pressure for them and they also begin to question if everything is perfect in their relationship. Ah I just fell in love with this story, Holly has a way of writing that instantly draws you in and gets you feeling all soppy and emotional with Harry and Suzie's story. It was fabulous to revisit all the characters again and especially Harry as he literally is the boyfriend/fiance of your dreams. Suzie is one very lucky lady! Harry and Suzie are such a perfect couple and the ending! OMG did not see that coming! Had a big grin on my face when I read that, as it was so utterly perfect. A brilliantly romantic and festive novella from the wonderful Holly Martin! This was a lovely read. Harry and Suzie run a 'proposal planning' company that is doing really well. They are running a campaign to organise 100 proposals in December- and have some lovely proposals planned. But why won't Harry talk about booking their own wedding. She just wants to be married to him- she doesn't want all the bells and whistles. But although he is deeply in love- he seems to be avoiding the final commitment. They have a lovely Christmas and the last proposal of the month is nearl This was a lovely read. Harry and Suzie run a 'proposal planning' company that is doing really well. They are running a campaign to organise 100 proposals in December- and have some lovely proposals planned. But why won't Harry talk about booking their own wedding. She just wants to be married to him- she doesn't want all the bells and whistles. 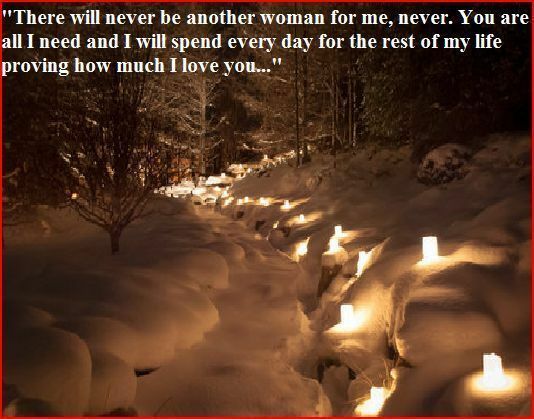 But although he is deeply in love- he seems to be avoiding the final commitment. They have a lovely Christmas and the last proposal of the month is nearly here - when disaster strikes and a heavy snowfall means that a lot of the food, chairs, lights etc are unable to get through. What will they do- who will come to the rescue? They make alternative arrangements and hope that the 'bride to be' will still be happy with the hastily rearranged details. I will have to go back and read the first in this series- it was such a feel good book. This is the second book following the relationship between now engaged to be married Suzie and Harry who run an on-line proposals company. It's the last few weeks before Christmas and the couple are busy organising surprise Christmas and New Year proposals - 100 in fact! They're also looking forward to spending their first Christmas together as a couple but are not looking forward to the visit by the inlaws. This was a lovely continuation of their story, Suzie was maybe a little dense not to reali This is the second book following the relationship between now engaged to be married Suzie and Harry who run an on-line proposals company. 3.5. I liked this one more than the first book. I enjoyed seeing how things were progressing for Suzie and Harry and things are looking good for them. The proposals were still entertaining to read and it sounds like business will never end. I wish that there was another book but it appears that this is the last story for the 100 proposals so I'll have to be satisfied with how the story ended and did on a really high note. What an amazing follow up to One Hundred Proposals, I absolutely love the relationship between Harry and Suzie, and as Christmas is my favourite time of year, combining them all makes for a 5* read. As each page goes on this book gets more and more emotional, I would not hesitate to recommend it, another fantastic book from Holly. A heart-warming sequel to 100 Proposals. I guessed what was happening very early on, but it was still a lovely read. A cute and fun book, although much shorter and without the travel of the original. I enjoyed it even though I guessed the ending about 3 pages in. Very good. Nice sequel to hundred proposals nice to see what the characters are up to and how they have developed. A very enjoyable conclusion for Harry and Suzie. Lacked the intensity of the first novel but was an enjoyable short read. Oh guys, let me tell you this, I had no idea that I missed Suzie and Harry so, so much! Reading the book was like seeing my best friends again, I had a feeling that we are seeing each other on the very next day, even if it is already six months after Harry proposed to Suzie. I felt so sad when I finished reading "One Hundred Proposals" as I loved it with all my heart, and I couldn't hide my excitement when I heard that Holly writes a follow - up. So, after the very successful trip over the world Oh guys, let me tell you this, I had no idea that I missed Suzie and Harry so, so much! Reading the book was like seeing my best friends again, I had a feeling that we are seeing each other on the very next day, even if it is already six months after Harry proposed to Suzie. I felt so sad when I finished reading "One Hundred Proposals" as I loved it with all my heart, and I couldn't hide my excitement when I heard that Holly writes a follow - up. So, after the very successful trip over the world with the hundred proposals, the business is blossoming and Harry, to keep up the momentum, decides that in December they should feature hundred proposals on their blog. On the one hand Suzie is for this idea, on the other she starts to be a little nervous because Harry doesn't show any interest in organizing their own wedding. Hello? Harry? You proposed hundred times and now you don't want to get married? No planning? Then Suzie finds out that Harry is planning something behind her back with Badger and that Jules knows about it! Harry having secrets, making secret phones... Not like him at all, what should this mean? And to top this all, her parents are coming over for Christmas! Holly can create the most lovable, likeable, warm characters in the world and still they don't feel too overstated, too forced. No, they are larger than life, vivid, wonderful people and it's always a great pleasure to read about them, to follow their adventures. And no matter if those are the main or the sub - characters, each of them get their own personality from the author, such as for example Harry's friend helping Suzie with the glass - jars and actually saying almost nothing, but I can't forget him, because he was simply lovely! Adding Suzie's mother to the story this time Holly also proved that she can write unsympathetic, grim persons as well. Yes, I understand, she's lost her son and she's still grieving probably, but why oh why behave so badly towards her closest one? It was so great to see that Suzie and Harry's relationship is still going strong, that they adore each other, they are best friends, and the chemistry between them is palpable, the electricity just fizzes off the pages. It was so lovely to see a couple that understands each other without a word. But even such couples can have a crisis, oh yes, what with Harry behaving so strange, and Suzie starting to doubt that he really wants to marry her. Of course one of the highlights of the book were Harry's entries on their blog about the December proposals, every single one ending with "Suzie of course cried buckets", and it made me so laugh! And again, the originality of those proposals swept me off my feet, they were wonderful, so innovative and so brilliant to read about! And to top it all, written in this great, a little sarcastic but still oh so warm Harry's style. Holly Martin did it again. She has written an emotional, lovely novella, in this unique Holly's style that I so much fell in love with. Her writing style is exceptional, inimitable. It tugs at all the right heart - strings, it's funny but also sentimental, and is full of Christmas spirit. This short book has it all and even more, and it is incredible that Holly could pack this novella with so many action and feelings. Holly, woman, sit down to writing, as I am already waiting for your next book! And thank you so much for mentioning me in the acknowledgements - you are a star! Ahhhh what a wonderfully romantic, funny read, perfect for any time if year, but even better with Christmas approaching. I loved it. It had the perfect festive feel to it. Infact I am humming Christmas carols as I am writing this. If you haven't read One Hundred Proposals yet then I really recommend you do before reading this novella, as it takes up where the first book left off. I love Harry and Suzie. They are a gorgeous couple, so in love and unable to keep their hands off eachother (oh, I rem Ahhhh what a wonderfully romantic, funny read, perfect for any time if year, but even better with Christmas approaching. I loved it. It had the perfect festive feel to it. Infact I am humming Christmas carols as I am writing this. If you haven't read One Hundred Proposals yet then I really recommend you do before reading this novella, as it takes up where the first book left off. I love Harry and Suzie. They are a gorgeous couple, so in love and unable to keep their hands off eachother (oh, I remember those days, many moons ago). I will keep this brief as I don't want to spoil the storyline for you.....but we rejoin Harry and Suzie in the lead up to Christmas. They are madly in love and the world looks good. The only frustration appears to be Harrys reluctance to set a date and walk up the aisle, much to Suzie's dismay. Their business is booming, and Harry has come up with an idea to offer a one hundred Christmas proposal service to clients. We once again meet Suzie's close friends Jules and Badger. They are still together and very happy. I love these two. They paint a picture of love, but in a more routine day to day way. We are introduced to Suzie's parents who are flying over from Australia for Christmas and New Year. I would quite willingly have punched her Mum at times in the story. What an obnoxious and rude woman! The opposite of her husband who is adorable. This also causes a potential problem when they want to see their grandchild. If you didnt know. Jules was married to their son (Suzie's brother) until he passed away a couple of years ago. They had a child together. Badger was their sons close friend and so it's all very complicated. But as a reader I can see how happy they are, and how lovely they are and so want them to be happy. They didnt set out to hurt anyone, and can't help that they fell in love. Whilst it is obvious that Suzie and Harry are still crazy in love with each other Harry is acting a bit strangely which leads to some tension between the couple. And events occur which will change their relationship forever. There is so much pressure to have a 'perfect' family Christmas Day that I really enjoyed reading about theirs. It sounded wonderful to me. Perhaps I will get curry on Christmas Eve this year and just reheat it and slob out in front of the tv on Christmas Day. I wonder how many that would upset!!! This is the third time I have picked up work by Holly Martin, and as with the previous two occasions I am not disappointed. It is beautifully written with such thought wnd feeling that comes through and brings the world and the proposals to life. It is filled with love and romance and it is a feel good read. I loved it and felt totally festive after the final page. I could just imagine Oe Hundred Proposals and this being snapped up and made into a film for the big screen, it would be wonderful viewing, particularly around valentines day. I extremely enjoyed reading One Hundred Proposals that I expected this book would also have the same effect on me. But since Harry had already proposed to Suzie, what’s in store for them now? This sequel had brought a mixture of sadness and excitement to me. Sad because it’s shorter since it’s a novella, but also excited because Harry and Suzie’s love story continues on! Moreover, it’s Christmas-themed! I just wished I had read this sooner as it might have just livened up my Christmas spirit more. It was seen here that the PR stunt Harry pulled off was a huge success. As such, they pursued another batch of one hundred proposals set during the Christmas season. The only thing different here was instead of focusing the proposals on Harry and Suzie, it was now the clients’ turn to get the limelight. This different approach done by Holly Martin made the book even more interesting to read. I love how Harry recounted their clients’ proposals through his blog. This allowed readers to get a glimpse of the couples’ love story and how each proposal incorporated one memory or significant object that was meaningful to their relationship. I must say, the proposals were diverse, unique, and memorable. It was also fun to read the reactions of the ladies. But of course, Holly Martin still centered her story on Harry and Suzie’s relationship. After the proposal in the previous book, Suzie prepared herself for a transition to the next chapter of her life, that is, marriage. I admired how Harry and Suzie’s chemistry remained strong and intact. Likewise, Harry would go extra miles to prove how much he extremely loved Suzie. It was so sweet and definitely swoon-worthy to the point of me hoping someone like Harry would exist in reality and be my guy! Holly lives in a little white cottage by the sea. She studied media at university which led to a very glitzy career as a hotel receptionist followed by a even more glamorous two years working in a bank. The moment that one of her colleagues received the much coveted carriage clock for fifteen years’ service was the moment when she knew she had to escape. She quit her job and returned to university Holly lives in a little white cottage by the sea. She studied media at university which led to a very glitzy career as a hotel receptionist followed by a even more glamorous two years working in a bank. The moment that one of her colleagues received the much coveted carriage clock for fifteen years’ service was the moment when she knew she had to escape. She quit her job and returned to university to train to be a teacher. Three years later, she emerged wide eyed and terrified that she now had responsibility for the development of thirty young minds. She taught for four years and then escaped the classroom to teach history workshops, dressing up as a Viking one day and an Egyptian High Priestess the next. But the long journeys around the UK and many hours sat on the M25 gave her a lot of time to plan out her stories and she now writes full time, doing what she loves.